It seems like every month a new Christian leader embraces the LGBT movement—from pastor Brandan Robertson to Tony Campolo and Jen Hatmaker—the list never ends. Recently, I came across an article in the Christian Post stating, "After his announcement of LGBT support in 2015, Pastor Stan Mitchell of GracePointe Church in Franklin, Tennessee, was profiled in Time magazine." Ironically, I had the privilege of debating Stan Mitchell on Fox News with Lauren Green. I would consider him a friend even though I did not know him before the debate. My wife and I had a wonderful time dialoguing with him before the discussion. 1. Fundamentalism fueled their anger and departure. After reading scores of articles and listening to many sermons from these leaders, I have found that many of them have been hurt by fundamentalism. One leader said fundamentalists "are not fun ... they are mental." How sad. The term fundamentalist comes from 1905 when R.A. Torrey compiled the "fundamentals" of the faith—something that was, and is, desperately needed. As I said in a recent article titled, "Are You Among the Living Dead," "Defending the truth must come from a loving heart so it pierces and encourages. Some of those who are so adamant about truth are also the most offensive. They are very opinionated but not very loving. This drives people further from the truth." Jesus had/has harsh words for this type of "religious" person. But don't let rigid, arrogant fundamentalists drive you away from the truth. They are in error as well: "But I have something against you, that you have abandoned the love you had at first" (Rev. 2:4). 2. Their view of the inerrancy of Scripture is skewed. How can we both read the same Bible, yet form different conclusions? It's actually very simple. It appears that they are saying, "The Bible doesn't mean that—it really means this." They say that it's arrogant to claim that you know the truth. In reality, only arrogance can exalt one to a level that challenges God and His truth. It takes a great deal of humility to admit that personal opinions and beliefs are wrong when they oppose absolute truth. Is it really a mark of humility to suggest that after nearly 2,000 years of church history, that some have actually discovered the real truth—that truth is now flexible in the area of human sexuality? If so, then it doesn't matter what Christ said, the disciples wrote, or what the early church fathers believed. Humility recognizes that we are fallible human beings who have sinned against God. His Word is a lifeline to our soul, an anchor for our lives, not something to be debated, altered or misrepresented. We don't change truth—truth changes us. 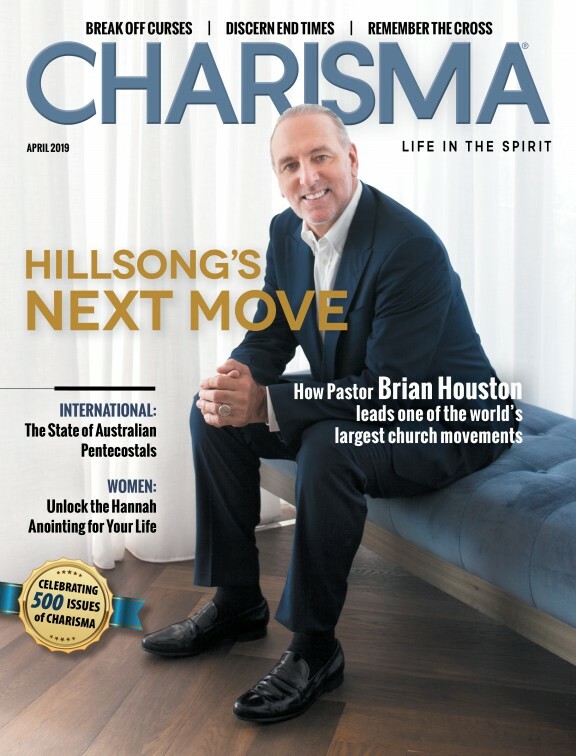 In an article on HelloChristian, LGBT supporter Brandan Robertson made the following statement: "As my theology began to shift, I started to move away being afraid of anything and ask questions. I didn't care if people thought I was a heretic. My goal was never to be Mr. Orthodox; my goal was to follow Jesus wherever He led." As much as I appreciate Brandan's compassion for those struggling (I share the same compassion), I have noticed the complete opposite: Those who embrace the LGBT lifestyle do not like to be questioned. They avoid verses dealing with homosexuality by simply writing them off. According to them, God changed His mind, or we've been wrong up until now. But the Bible was written so that people would know the truth—the truth about God, creation, sin and redemption. In reality, truth invites scrutiny; whereas error runs from it (cf. 1 John 5:13). Jesus leads us back to truth, not further away from it. 3. They seem to remove anything that offends—going so far as to say that hell is not real and that all will be saved in the end. But Oswald Chambers reminds us that "the words of the Lord hurt and offend until there is nothing left to hurt and offend." The gospel hurts before it helps; it condemns before it releases. To remove everything that offends is to remove the very foundation of the gospel. The same disease that is plaguing many fundamentalists is also plaguing those who support the LGBT movement—pride! I will ask the same questions of both groups: Do you weep over the sins of others? Are you more concerned about being right or being loving? Does being challenged bother you? Do you tend to be defensive and critical? Has gentleness vanished? Are you judging more than loving? Are you the final authority or is God? Fundamentalists use the Bible as a sledgehammer, but the other side questions its authority and softens its blow—both sides are in serious trouble. Both groups are either ignoring or resenting the word repent. They tell others to repent but fail to see their own need. My big concern for those supporting the LGBT lifestyle is that they are leading people away from God (cf. 1 Cor. 6:9-11). "When we become so tolerant that we lead people into mental fog and spiritual darkness, we are not acting like Christians—we are acting like cowards," said A.W. Tozer. We are worried about offending others, but have we stopped to consider that we may be offending God? Are you dying spiritually? Is your pride preventing a mighty outflow of God's love in your life? Simply remember from where you have fallen, repent of pride and arrogance, and do the first works that were once motivated by love. It's really that simple.